In this, my first try, I put the chocolate chips into the mix and it made the cheesecake fall apart. Just sprinkle them on top and it comes out great, like this example. 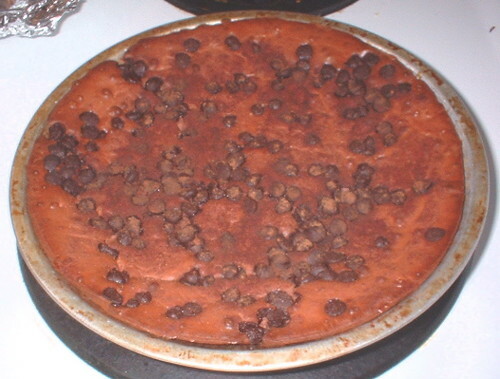 October 20, 2006 – This is my second attempt at the sugar free chocolate cheesecake. First attempt is here. This time I only put the chocolate chips on top instead of in the mix and that did the trick (the original recipe didn’t call for chips at all); it didn’t fall apart like last time. 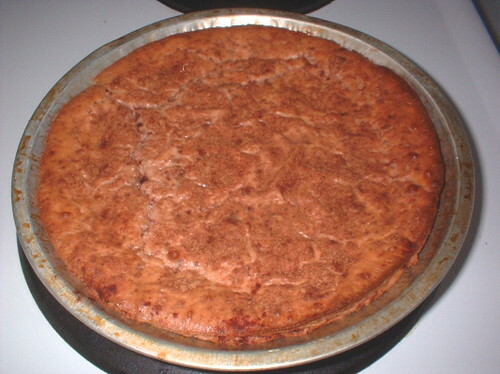 I sprinkled tons of unsweetened cinnamon on top and it tasted GREAT! I use low-fat cream cheese to cut back on calories so this is also South Beach friendly.